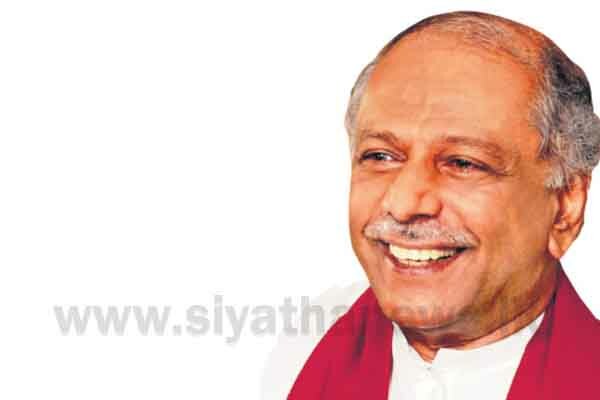 MP Dinesh Gunawardena says the Sri Lankan government’s first step at the ongoing UNHRC session in Geneva should have been to reject the roll-over resolution, which the government is expected to co-sponsor in the coming days as it seeks an extension of the timeline of resolution 30/1 of 2015. The Mahajana Eksath Peramuna (MEP) leader said that the original signatories of the motion against Sri Lanka are no more and that it is a new motion that has come up. In a reference to the United States, he said that one of the key partners of the original resolution is no longer even in the Human Rights Council. “That is the position Sri Lanka could have and should have taken as the first step and rejected the motion,” the UPFA Parliamentarian told reporters in Colombo. Gunawardena also said that the figures that have been ‘exposed’ by Lord Naseby, pertaining to the civilian casualties of the war, are very clear that the validity of the UN Human Rights High Commissioner’s report does not stand because the figures are wrong. He said that some of the figures in the High Commissioner’s report are very old figures in relation to many matters. He said that the High Commissioner seems to be going on the original complaint of the Tamil National Alliance (TNA), regarding the Mannar mass grave. “She is becoming a TNA spokesman,” he said, before adding that the UN High Commissioner for Human Rights should have double checked 24 hours before whether she was coming up with the correct report and correct figures. The former minister said that luckily the reports of the radiocarbon dating tests carried out on the bones unearthed from the mass grave in Mannar were out before the submission of the High Commissioner’s report. Gunawardena said that the Sri Lankan government was forced by the President to bring up the figures highlighted by Lord Naseby at the ongoing UNHRC session in Geneva. “Otherwise the Sri Lankan foreign minister would have perhaps avoided or through his ambassador totally kept silent on the issue,” he claimed.